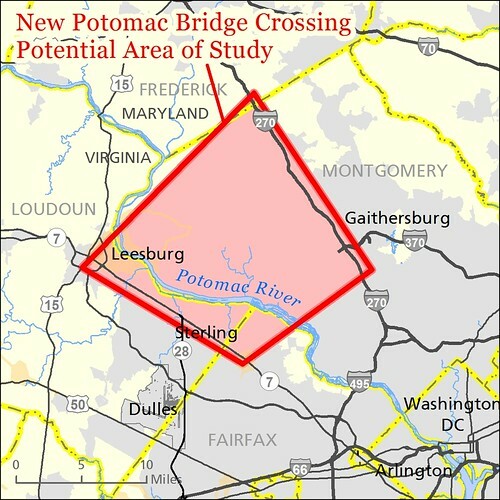 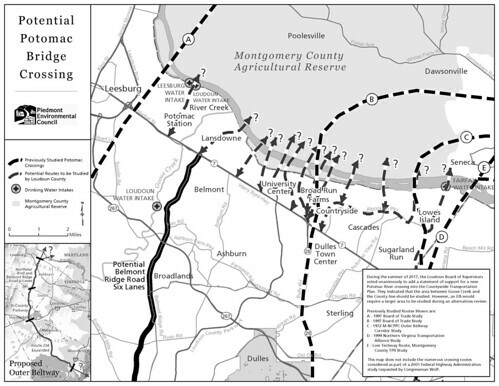 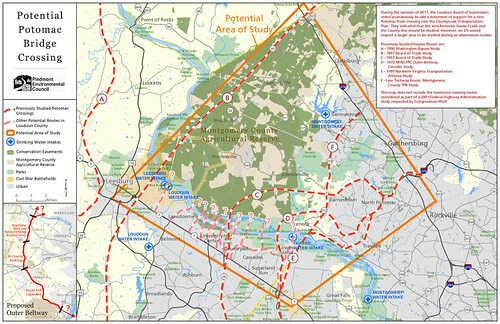 During the summer of 2017, the Loudoun Board of Supervisors directed county staff to study and recommend potential Potomac bridge crossing sites between Goose Creek and the Fairfax County line. 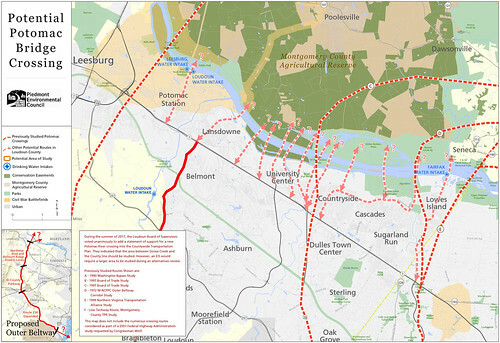 The new bridge has long been a dream of area real-estate interests, but has been rejected by residents and planners throughout the years, due to numerous flaws (see our 8 Reasons blog post for more detail). 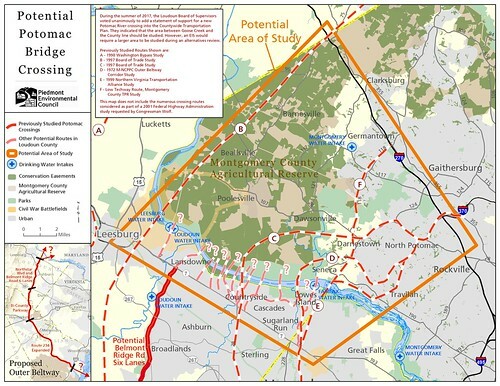 We have put together maps of the potential routes and study area, to help people discern the potential impacts. 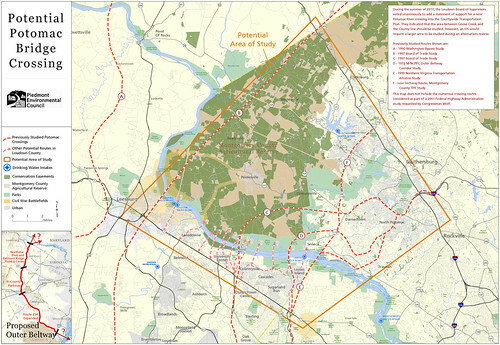 Check the flickr album in case there are new maps!